Uncategorized Archives | A Better Roof At A Better Price! Choosing a reputable roofer and the best roofing materials to protect your home can be overwhelming. These are the steps I recommend to ensure you’re making the right decision. Materials: Do the materials qualify to meet your goals? Are the materials 100% UV stable? Do they withstand ponding water? Do the materials and their installation address the most-common reasons for roof failure: seams, canales, penetrations, UV damage, etc. Company: A company is only as good as their licenses, reputation, and referrals. Is the contractor licensed to work in New Mexico? Ask to see the following: New Mexico CID license, Liability Insurance, Worker’s Comp Insurance. Call the New Mexico Construction Industries Division (NMCID) at (505) 222-9815 to verify the license # is real. Ask to speak to at least three references. Warranty: No two warranties are the same. Many roofing warranties only cover materials. Not labor. Are you required to purchase a maintenance plan to keep your warranty valid? When I started Fix My Roof, I implemented a No-Cost Maintenance Package with all of our roofs. Every year, we inspect and perform preventive and predictive maintenance on all of our roofs. 4. Cost: I’ve seen everything from $3.00 – $14.00 per square foot. Unless your have 3+ roof layers, pumice, rotted decking, a water-damaged foam roof or other extreme issues, I’ve found the honest, reasonable range for quality roof work to range between $5.50 and $7.50 per square foot. Quotes outside this range are likely to be overcharging, using insufficient or poor quality materials, or are not properly licensed or insured. The Inn of the Mountain Gods was re-built ten years ago, opening in 2005. The original roof was standard modified bitumen, also called singly-ply, cap sheet, or rolled roofing. The Inn, which is located just outside Ruidoso New Mexico sits at approximately 10,000 feet above sea level and receives a little more than 35 inches of snow each year. Modified bitumen is a very common roofing method in New Mexico. Basically it’s the same material as shingles, but comes in three foot wide rolls that are heat-welded together with hot tar. After only seven years, the UV exposure, combined with the extreme freeze and thaw cycle had already caused multiple leaks. This is not uncommon aging. Petroleum based roofing materials do not age well in the New Mexico climate, which is why they require continuous maintenance and/or patching every six to twelve months. 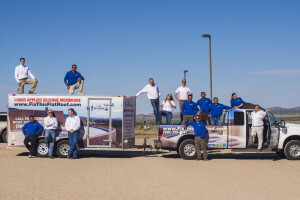 In 2014, the Inn hired Fix My Roof LLC, based in Santa Fe New Mexico, to restore a significantly older roof on their Casino Apache Travel Center. Pleased with the results, Fix My Roof was called upon again to fix the leaks on top of New Mexico’s premier mountain resort. Fix My Roof’s approach to roofing is unique, but has produced unparalleled results. Rather than tearing off old roofs, which interrupts business operations and contributes to unnecessary landfill waste, Fix My Roof LLC helps businesses and organizations reap the benefits of the National Roof Council’s advice. 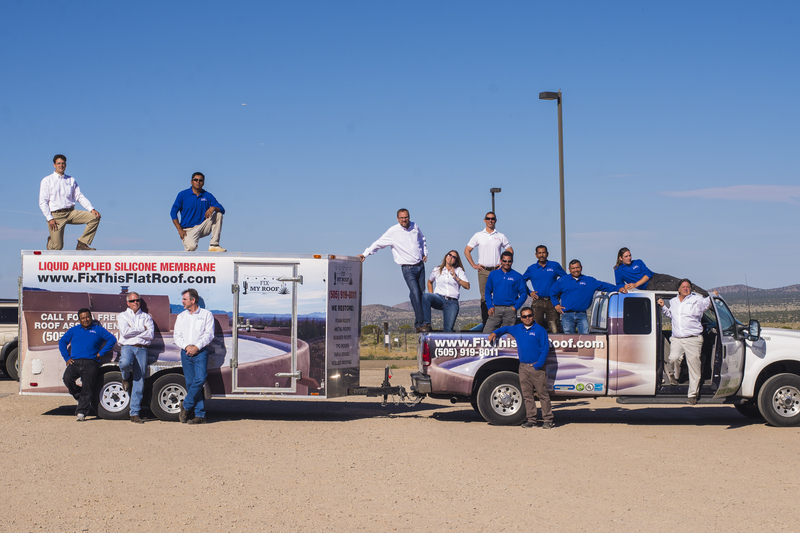 According to the National Roof Council, “85% of roofs that are torn off don’t need to be; they can be restored” using Fix My Roof’s liquid-applied silicone, which is 100% UV stable, withstands ponding water, and expands and contracts with the New Mexico freeze and thaw cycle. While the roof restoration process costs approximately the same as a new roof, savings come in many ways. Fix My Roof provides free maintenance for ten years; other companies charge $1,000 annually for this same service. The restoration materials themselves improve the energy efficiency of the building; during summer weather, interior temperatures drop from 10-30 degrees.